Schliebe's L.I.F.T. About Schliebe's L.I.F.T. With an approach toward fitness delivery and implementation that has spanned four decades, over 20 successful studios, and over 25,000 clients and students, Timothy Schliebe has developed a culture of time-proven techniques, combined with cutting-edge programs that helps each individual reach and exceed their personal fitness goals. We stand behind our solid core principles that will not be compromised, allowing you to experience a feeling of intimacy, energy, safety, and success whether exercising in a group, or in a one-on-one training session. It is that feeling of individual attention and care each time you walk through the door, that makes the experience at L.I.F.T. so exceptional and exclusive. These are some of the trademarks and unique standards that have become part of the Schliebe mystique and Legendary qualities. With the joint collaboration of Timothy Schliebe and Denise Naylor, the legend continues to grow and flourish with new concepts and new ideas in the realm of Fitness. We are a sophisticated, Indoor Fitness Training Studio, that caters to individuals serious about their personal fitness. We are nationally recognized for our Team Training format and diversification of Training Sessions offered. A safe, well coached, and protected environment provides the first timer with encouragement and inspires all to perform at their best. In addition, you will find a unique community-oriented atmosphere that allows you to fully explore who you can become. Time-Proven Techniques (over 40 years), combined with Cutting-Edge Training Sessions, offers an opportunity to achieve the fitness goals that will keep you in top shape and coming back for more every day. The definition of a Legend is simply someone who has excelled at a high level for a significant length of time. For Timothy, that length of time has been for over 40 years (since 1972 to be exact). The task has been one of a passion for coaching and training clients to reach their utmost levels of fitness. Over 25,000 clients have been touched by Timothy’s ability to create an environment that manifests success in each and every student he reaches. From Colorado to California, and now at home here in Bend, Oregon he brings his unique talents once again to those seeking a higher quality of life through fitness. A recognized Motivational speaker and certified Life Coach, as well as consultant for countless startup studios, he is recognized as one of the leaders in the dynamic field of the Fitness Industry. Whether you are in one of Timothy's Industry recognized Team Training Sessions or working one-on-one with Timothy in one of his Personal Training sessions, you will agree, as thousands already have, he is a Master at what he does and indeed is a "Legend." After a successful Fitness Instructing career in San Diego and Personal Training career with Timothy, as well as an established reputation as a sought after Massage Therapist, Denise has teamed up with Timothy once again to create the perfect Coaching Duo. You will find her not only coaching, but working with clients one-on-one, and putting her skills as a massage therapist to use by offering multiple modalities of massage including sports massage, neuromuscular therapy, deep tissue, and more. As Timothy's partner, her extensive experience in Management and Finance, and as a retail store buyer and designer, all work together to make her a tremendously valuable part of the success that is L.I.F.T. You will also find her filling the role of Operations Director for the studio and is responsible for all day-to-day functions including Marketing, Sales, and Studio Promotions. Josh grew up in Door County, Wisconsin and earned his Bachelor’s Degree in Exercise Science from Lakeland University, where he also played Division III Soccer. Josh believes that exercise is medicine for the body and it is the benefits of exercise that he is most passionate about. You can find Josh dedicating his time to his passion while enjoying hiking, snowboarding, surfing, and fishing (just to name a few). He has spent a great deal of time working with athletes, but he also enjoys working with individuals at all levels. He is excited about working with people to help them better their lives and become what they have set their minds to be. A fun little fact about Josh - he grew up on an island and there is no bridge to it! Sarah began practicing yoga in 2008 and although she started because of the physical practice, what keeps her coming back to her mat is the profound way that yoga has helped her to heal, to find clarity, and to stay grounded and connected to her true nature amidst the craziness of life. She completed her RYT 200 training in the summer of 2015 and since then, has taught yoga to high school athletes as well as to her coworkers. She is a cofounder and VP of SEND Transportation, a local transportation logistics company. When she isn’t at work or on her yoga mat, she loves to spend time with her family enjoying this amazing place we call home. One might ask what brought Seth to Bend, Oregon considering he’s from Fort Collins, Colorado? It’s the fact that he wanted to come work for Schliebe’s L.I.F.T. due to it’s reputation, length of success, and the fact that he knew Timothy would have a tremendous amount of knowledge and experience to pass on. Seth is a recent graduate of Boise State University, where he was a Student Manager at the Recreation Center. You will discover that fitness is his passion, and that his opportunity of working at the Rec Center inspired him to obtain his Personal Trainer certification from the ACE. He has always enjoyed helping lead others to achieve their health, fitness, and athletic goals, and is excited about working with each of you. Some other passions you might find Seth participating in are soccer, hiking, and skiing (finding himself in Bend is a perfect fit, don’t you think?!). Shawn joins the Schliebe Staff from Kansas (which just happens to be one of those places Timothy previously had quite a few Studios!). With an extensive career in Retail and Customer Service, her skills at the Front Desk keep us moving along smoothly. In addition, Shawn is a Certified Pilates Instructor. She is passionate about helping people learn how to hold their body properly and use their muscles the way they were designed. No wonder she has such great posture! 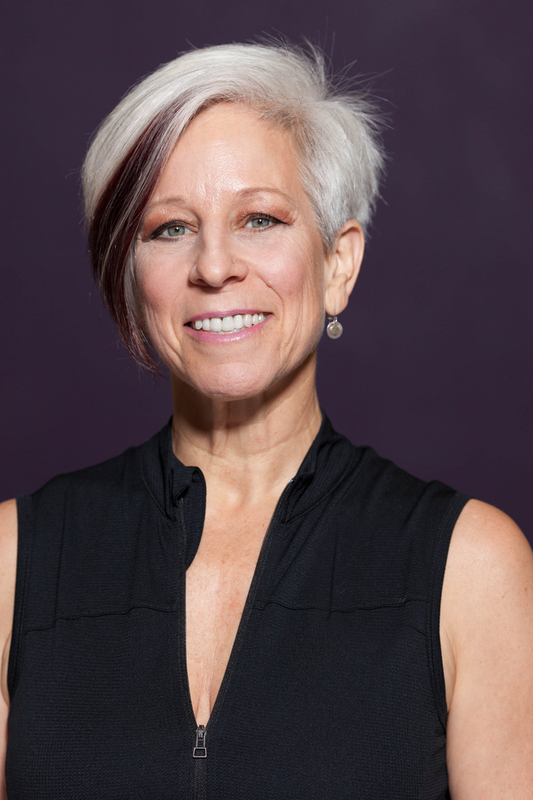 With a degree in Kinesiology and an enthusiasm for Biomechanics, Teri enjoys sharing her knowledge of the body with those she works with at Schliebe’s L.I.F.T. You will find her helping us keep the Studio in tip-top shape, as well as coaching classes and training individual clients. Not only does Teri work with humans, she is an amazing dog trainer. If you’ve got a pup in need, don’t hesitate to speak with Teri about your furry friend. She’ll be happy to chat with you. It's simple, and it’s complicated…actually it’s a lot about passion and it is innate to who we are at L.I.F.T. We listen to you and aspire to provide you with an unparalleled experience. We deliver a different Training Session every day. Each Training Session is tailored to bring out the best in you as a seasoned athlete or a novice. Constant guidance by our coaches guarantees your efforts are worth your time. Outstanding Training Sessions, with professionally delivered techniques and coaching, guarantees a positive experience and a desire to come back for more and do it all over again. It's your body...your only body, and we have a Training Session specifically for you! If you don't know how to do it...We do!